Central Australian Aboriginal Congress Inc. 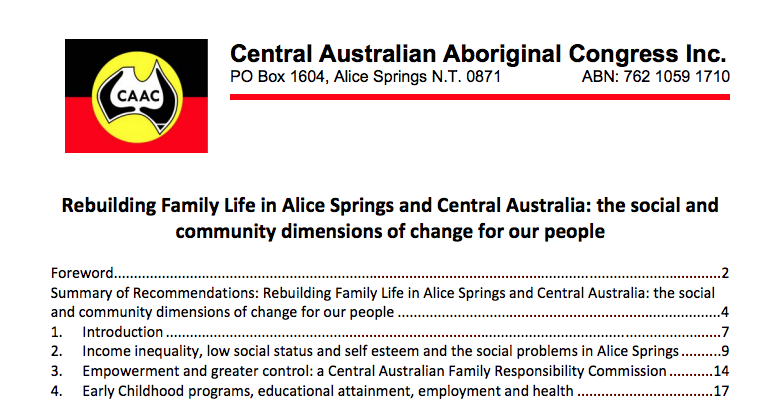 This paper has been released by the Central Australian Aboriginal Congress as a constructive contribution to the debate on the social crisis facing Alice Springs and Central Australia. It presents powerful ideas as well as concrete strategies for change that we believe can make a real difference for our people.